Ever wonder where toothpaste and mouthwash came from? Have you ever thought about what people used for toothpaste before the invention of Crest, Colgate or Aquafresh? (North American brand name toothpastes). Below are some interesting, point form facts and recipes that may help satisfy your curiosity – or spur it on!! Beat the above ingredients together and use every second day. So….what’s in the toothpaste of the 90s? The activity of keeping the mouth clean dates all the way back to the religious figure Buddha. It has been recorded that he would use a “tooth stick” from the God Sakka as part of his personal hygiene regimen. Picking the bones out of wolves excrement and wearing them (maybe in the form of a necklace?) was considered to be a form of protection against toothaches. Washing your teeth with the blood from a tortoise three times a year was a sure bet against toothaches as well. Mouthwashes were known to consist of pure white wine, or (get ready for this one) old urine kept especially for this purpose. In the 19th century, charcoal became very popular for teeth cleaning purposes. Most toothpastes at this time were in the form of a powder. The succulent strawberry (still available today) was considered to be a “natural” solution for preventing tartar and giving fresh breath. A pinch of green sageMix together and use every night on wet teeth. 15 drops clover oilPowder, mix, sift. Liquid cleansers (mouth rinses) and pastes became more popular, often containing chlorophyll to give a fresh green color. Bleeding gums became a concern as well as aching teeth. In 1915 leaves from certain trees in South East Asia (Eucalyptus) were beginning to be used in mouthwash formulas. Hey, didn’t we see these ingredients in the toothpastes of the early 19th century? Your guess is as good as ours!! 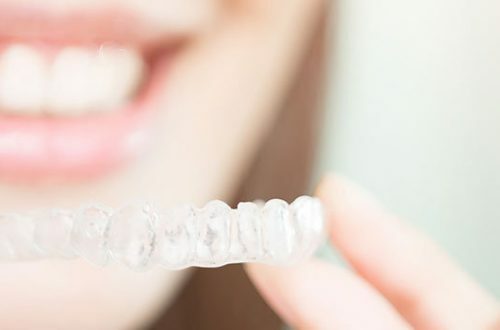 If the trends of the 20th century continue we should see more toothpastes that whiten and brighten the teeth, are canker sore friendly, and give you the ultimate brushing or rinsing experience. The world’s oldest-known formula for toothpaste, used more than 1,500 years before Colgate began marketing the first commercial brand in 1873, has been discovered on a piece of dusty papyrus in the basement of a Viennese museum. In faded black ink made of soot and gum arabic mixed with water, an ancient Egyptian scribe has carefully described what he calls a “powder for white and perfect teeth”. When mixed with saliva in the mouth, it forms a “clean tooth paste”. According to the document, written in the fourth century AD, the ingredients needed for the perfect smile are one drachma of rock salt – a measure equal to one hundredth of an ounce – two drachmas of mint, one drachma of dried iris flower and 20 grains of pepper, all of them crushed and mixed together. The result is a pungent paste which one Austrian dentist who tried it said made his gums bleed but was a “big improvement” on some toothpaste formulae used as recently as a century ago. In the case of toothpaste it grinds away the leftover food and plaque on your teeth, with the help of your toothbrush. The other main part of toothpaste is the paste which is made up of water and things to help it spread through your mouth easily like a type of detergent which makes it foam and something to make your teeth shiny. The flavors of toothpaste are usually from plants like Spearmint and Peppermint most toothpastes are sweetened with artificial sweetener. Before toothpaste was invented people used all kinds of dry, rough things as an abrasive to clean their teeth – things like crushed eggshell, pumice the burnt hooves of animals!!! Before toothbrushes were invented people used twigs or their fingers to brush their teeth. A couple of hundred years ago when people didn’t know about brushing their teeth most people had black rotten teeth especially if they ate lots of sugar like Queen Elizabeth the first. Going down the toothpaste aisle and choosing a suitable toothpaste can be a difficult task in today’s marketplace. Most experts would agree that as long as your toothpaste contains fluoride, the brand you buy really doesn’t matter. All toothpastes with fluoride work effectively to fight plaque and cavities. Of course, they also clean and polish tooth enamel. In addition, your toothpaste should bear the ADA (American Dental Association) seal of approval on the container, which means that adequate evidence of safety and efficacy have been demonstrated in clinical trials. In an antimicrobial toothpaste such as Colgate Total, the key ingredient is triclosan, an antibacterial agent. This type of toothpaste is supposed to remove bacteria that can cause gum disease but it will not remove existing tartar. 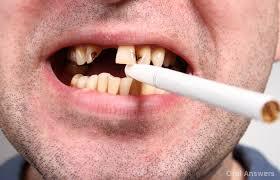 When brushing, always use a soft-bristled toothbrush so as not to brush away gum tissue. A pea-sized amount of toothpaste is sufficient, contrary to what is shown on commercials and in ads. Brush at least twice a day for a minimum of two minutes. Naturally, brushing does not take the place of flossing once a day. Floss gets between your teeth where cavities may form.